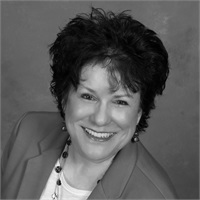 Peg Walsh has several years of experience as an Administrative Assistant and Receptionist. She has enjoyed all of her positions which required constant interaction with the public. Peg has very strong family ties and a strong sense of community; therefore, spending time with her family and serving her community is very important to her. Currently, she is serving as a hospice volunteer at CentraCare and has also served her church in a variety of functions. Peg loves socializing with friends in her free time and spending hours reading on subjects of spirituality, nutrition and health. Her goal right now is to rediscover old hobbies and pursue new interests as time allows. Peg and her husband, Mike, have one son, Tanner. They both enjoy traveling together and spending time with family and friends on a regular basis. They also enjoy taking walks as often as time allows and believe strongly in the benefits of regular fitness.